Problem: I am getting a "java.lang.NullPointerException at com.activeandroid.Cache.getTableInfo"
Using the ActiveAndroid ORM makes managing client-side models extremely easy in simple cases. For more advanced or custom cases, you can use SQLiteOpenHelper to manage the database communication directly. But for simple model mapping from JSON, ActiveAndroid keeps things simple. ActiveAndroid works like any Object Relational Mapper by mapping java classes to database tables and mapping java class member variables to the table columns. Through this process, each table maps to a Java model and the columns in the table represent the respective data fields. Similarly, each row in the database represents a particular object. This allows us to create, modify, delete and query our SQLite database using model objects instead of raw SQL. For example, a "Tweet" model would be mapped to a "tweets" table in the database. The Tweet model might have a "body" field that maps to a body column in the table and a "timestamp" field that maps to a timestamp column. Through this process, each row would map to a particular tweet. Note that you must either directly use the com.activeandroid.app.Application as your application class (specified in the manifest) or if you have a custom application class, check out more details for how to approach that in the installation guide. Now you are ready to use ActiveAndroid. The "name" part of the annotations refers to the name the Table or Columns will be given, so make sure to use the SQLite naming conventions for those. Also note that ActiveAndroid creates a local id (Id) in addition to our manually managed remoteId (unique) which is the id on the server (for networked applications). To access that primary key Id, you can call getId() on an instance of your model. Refer to querying the database for more examples. That's ActiveAndroid in a nutshell. Refer to querying the database for more examples. For more advanced cases, check out the From.java source directly. See SQLiteUtils implementation for more details. String resultRecords = new Select(tableName + ". *, " + tableName + ".Id as _id"). We need to define a custom TodoCursorAdapter as outlined here in order to define which XML template to use for the cursor rows and how to populate the template views with the relevant data. That's all we have to do to load data from ActiveAndroid directly through a Cursor into a list. See the full source code on the official ActiveAndroid ContentProviders guide. Note that in order trigger the migration script, you’ll have to save an instance of your model somewhere in your code. Be sure to review the common questions below. Question: How do I inspect the SQLite data stored on the device? In order to inspect the persisted data, we need to use adb to query or download the data. You can also take a look at using the Stetho library, which provides a way to use Chrome to inspect the local data. Question: How does ActiveAndroid handle duplicate IDs? For example, I want to make sure no duplicate twitter IDs are inserted. Is there a way to specify a column is the primary key in the model? Make sure to uninstall the app afterward on the emulator to ensure the schema changes take effect. Note that you may need to manually ensure that you don't attempt to re-create existing objects by verifying they are not already in the database as shown below. Question: I read somewhere that ActiveAndroid automatically creates another auto-increment ID column, is this true? What field names should I avoid using? This is true, see creating your database model for more details. The column is called "mId"
Question: How do you specify the data type (int, text)? Does AA automatically know what the column type should be? The type is inferred automatically from the type of the field. Question: How do I store dates into ActiveAndroid? AA supports serializing Date fields automatically. It is stored internally as a timestamp (INTEGER) in milliseconds. Question: How do you represent a 1-1 relationship? Check out the relationships section if you haven't yet. There are many ways to manage this. You can declare a type "User" and then that field will be associated with a foreign key representing the user. You can manage this process by simply constructing and assigning the user object to a field of the parent object and then calling save on the parent. You should make sure to call save separately on the associated object in most cases. Question: How do I delete all the records from a table? This allows for bulk deletes. Question: Is it possible to do joins with ActiveAndroid? Question: What are the best practices when interacting with the sqlite in Android, is ORM/DAO the way to go? 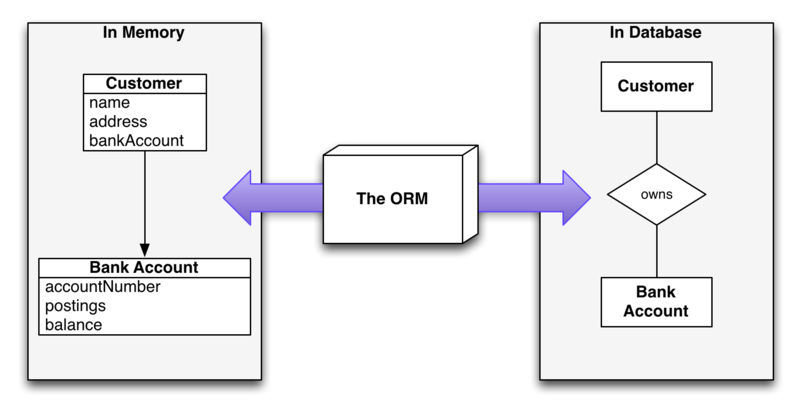 Developers use both SQLiteOpenHelper and several different ORMs. It's common to use the SQLiteOpenHelper in cases where an ORM breaks down or isn't necessary. Since Models are typically formed anyways though and persistence on Android in many cases can map very closely to objects, ORMs like ActiveAndroid can be helpful especially for simple database mappings. Android API 23+ Users: Be sure to also check this exception workaround and applying one of those three options to avoid this exception. or by calling ActiveAndroid.initialize(this); in your own custom Application class as outlined here. This is because ActiveAndroid only generates the schema if there is no existing database file. In order to "regenerate" the schema after creating a new model, the easiest way is to uninstall the app from the emulator and allow it to be fully re-installed. This is because this clears the database file and triggers ActiveAndroid to recreate the tables based on the annotated models in the project. This is because ActiveAndroid needs you to save all objects separately. Before saving a tweet for example, be sure to save the associated user object first. So when you have a tweet that references a user be sure to user.save() before you call tweet.save() since storing the user requires the local id to be set and assigned as the foreign key for the tweet. This error means that you are attempting to save a object which would create a duplicate row in the database. This means that the object you are trying to save has the same remoteId (or other unique column) as an object already in the database. This will help avoid any foreign key constraint exceptions due to duplicate rows.